September 22, 2012 National “End the Fed” rally day: a day in which protestors gathered outside of Federal Reserve establishments across the nation in order to call attention to currency-debasing practices of the Federal Reserve. The rallies came within weeks of Fed Chairman Ben Bernanke announcing that the Federal Reserve would be implementing a third round of quantitative easing (Q.E.3), a practice with which many of the protestors voiced frustration. 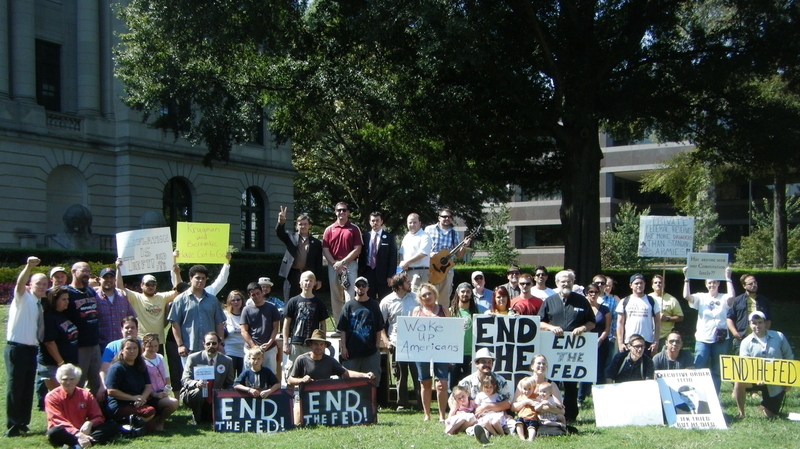 Charlotte was home to North Carolina’s chapter of the National End the Fed rally. Michael Heise, 23-year old organizer of the National End the Fed rally effort and Chuck Suter, North Carolina grassroots organizer of the Charlotte End the Fed rally.